Choose your Artisan Water Mixable Oil Colors and paints odorless. Full range of colors for demanding artists who seek quality in organic products. Artisan Oil Indian Red Winsor & Newton, 37 ml. Artisan Oil Napols Yellow Hue Winsor & Newton, 37 ml. Artisan Oil Phatlo. Blue (red shadow) W&N, 37 ml. Artisan Oil Natural Shadow Winsor & Newton, 37 ml. Artisan Oil Burnt Sienna Winsor & Newton, 37 ml. Artisan Oil Cadmium Yellow Hue Winsor & Newton, 37 ml. Artisan Oil Dioxacine Purple Winsor & Newton, 37 ml. 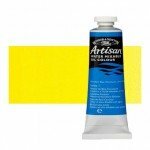 Artisan Oil Lemon Yellow Winsor & Newton, 37 ml. Artisan Oil Permanent Alizarina Crimsom W&N, 37 ml. Artisan Oil Prussian Blue Winsor & Newton, 37 ml. Artisan Oil Zinc White Winsor & Newton, 37 ml. Artisan Oil Cadmium Red Hue Winsor & Newton, 37 ml. Artisan Oil Cerulean Blue Tone Winsor & Newton, 37 ml. Artisan Oil Ivory Black Winsor & Newton, 37 ml. Artisan Oil Olive Green Winsor & Newton, 37 ml. Artisan Oil Phatlo. Green (yellow shadow) W&N, 37 ml. Artisan Oil Titanium White Winsor & Newton, 37 ml. 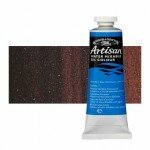 Artisan Oil Burnt Umber Winsor & Newton, 37 ml. Artisan Oil Cadmium Intense Yellow Hue Winsor & Newton, 37 ml. Artisan Oil French Ultramarine Winsor & Newton, 37 ml. Artisan Oil Magenta Winsor & Newton, 37 ml. 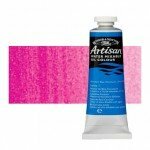 Artisan Oil Permanent Pink Winsor & Newton, 37 ml. Artisan Oil Natural Siena Winsor & Newton, 37 ml. Artisan Oil Cadmium Dark Red Hue Winsor & Newton, 37 ml. Artisan Oil Cobalt Blue Tone Winsor & Newton, 37 ml.